When you review Android devices for a living, constantly switching phones and carriers, I have found that I have a particular setup that I continuously go back to on each one, as it is what I have become familiar and comfortable with. Once the review process is over, I attempt to get rid of most signs of an OEM’s custom skin, such as TouchWiz or Sense, so the first thing I will do is load up a 3rd-party launcher. To make that 3rd-party launcher really pop and my own, I download a few of my favorite icon packs, which is quite a few. Adding these icon packs to my device also brings a ton of different wallpapers that I can choose from, giving me plenty of options in the customization department. In the following post, I will go over my current setup, including which phone I use as my daily driver, what launcher I use, some of my favorite wallpapers, and icon packs. Hopefully this post can help you find some apps, widgets, or wallpapers you would like to try out. This is my current daily Android setup. So far in 2015, I have been fortunate enough to try all of the top flagship devices from most of the manufacturers. 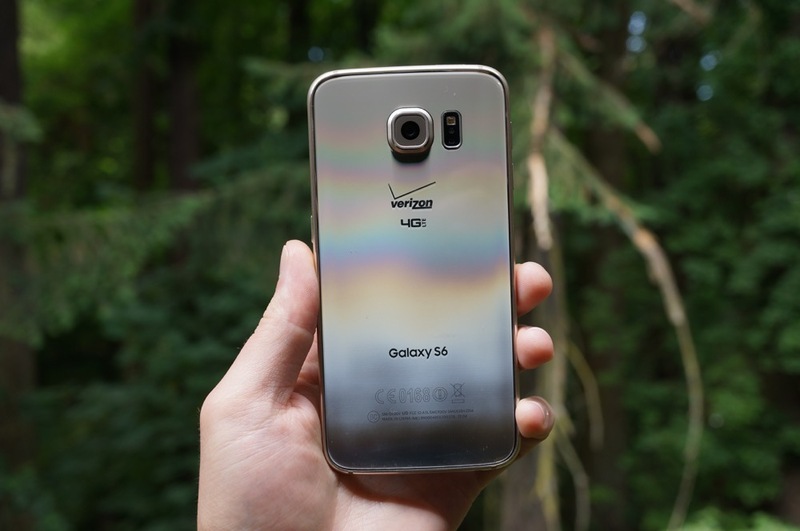 This includes the LG G4, One M9 from HTC, Galaxy S6 Edge from Samsung, and the regular Galaxy S6. Through my experiences which each of these phones, I have decided that I would use the Galaxy S6 as my daily driver. 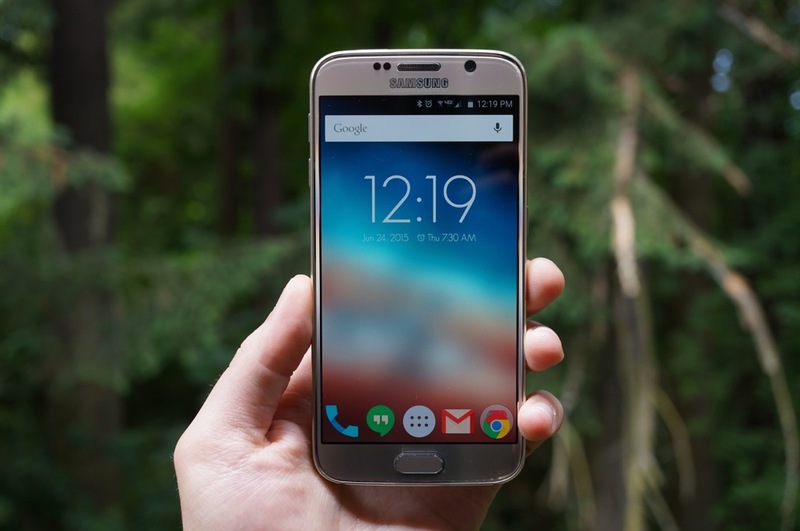 For me, all I really look for is a great Android experience, and the Galaxy S6 delivers that for me. Sure, the battery could use some help, but the display is gorgeous, camera is legit, and it looks incredible. To date, the Galaxy S6 may be my favorite overall Android device, though it currently holds that spot with the Moto X (2nd Gen). Side note: I cant wait to see what Motorola is cooking up for 2015. All of the other phones I mentioned are good in some cases, but when valuing the overall experience, the Galaxy S6 from Samsung does it for me. We get asked this all of the time, so allow me to settle the discussion once and for all. Kellen and I both use Nova Launcher, period. Sometimes, and very uncommonly, you may see either of us use the Google Now Launcher, but for the most part, given its ability to be highly customized, we stick to Nova Launcher. 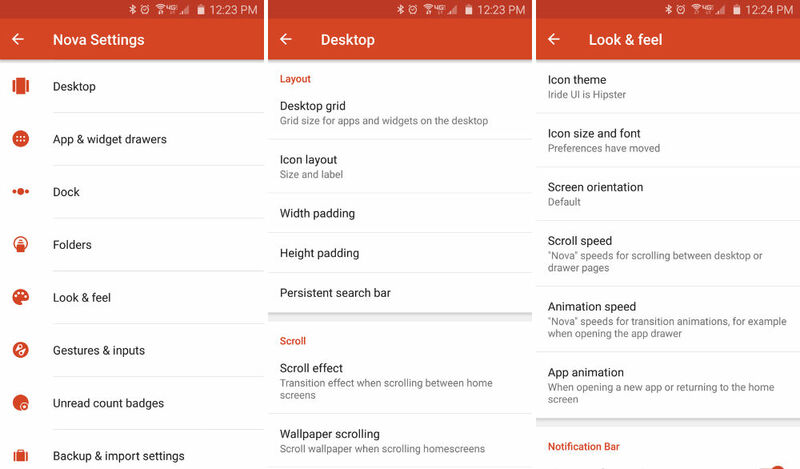 Nova allows for the usage of 3rd-party icon packs, but not only that, settings for the home screen, app drawer, and gesture controls can be set however we like them, granting us power over how we want our phone to look and essentially operate. In the settings menu of Nova, you can tweak desktop, app drawer and dock appearance, badge counts for icons, gesture controls, and even backup or import your settings from another launcher. If you take the look and customization of your phone seriously, you have to use Nova. And before you ask, yes, buy the Premium unlock. It’s worth every penny. I have never been a big widget guy, but I do use a few that I find to be useful. Interestingly enough, people could argue that two of the three widgets I use are basically obsolete, but habit is a powerful thing. I am used to having Sound Search on my home screen, even though I could simply tap the mic button to launch Google Search and find a song that way. Something about the way Sound Search works, I just like it. It keeps my songs in order of date recognized, and to me, that’s cool. As for having a Google Now widget on my home screen, it’s nice since Nova Launcher doesn’t allow you to swipe into Google Now, such as it does with the Google Now Launcher. I can see all of the same info, without opening up Google Now. And if I see an article I want to check out, I hit the box. It’s easy. Now, a ton of people, and I do mean a ton, always ask what the clock widget I use is. It’s Timely. Timely was acquired by Google not too long ago, but I still like it. I enjoy the widget for the app, as it is clean and easy to read, no matter which wallpaper I have applied. It acts as my alarm clock, stopwatch, and timer. It’s just a solid clock app. If icon packs were a drug, I would have checked into rehab years ago, but thankfully, that isn’t the case. I can download all the icons packs and no one would even care. But as I have been switching through devices, I find myself downloading this one in particular, given its close resemblance to the stock Android icons, with a bit of color editing. For someone who enjoys vanilla, but with a pinch of something else, Iride UI Hipster is a great choice. This pack comes with 3000+ icons in Full HD, which is good when your phone’s display is QHD. Even when you bump up the icon’s size to 130% via Nova Launcher’s “Look and Feel” menu, the icons still look crisp. One touch on the developer’s part that I appreciate is the inclusion of multiple colors for the same icon. For example, the dialer icon and camera icon have multiple color choices to choose from, really letting you decide how you want your device to appear. As an end user, I appreciate that. 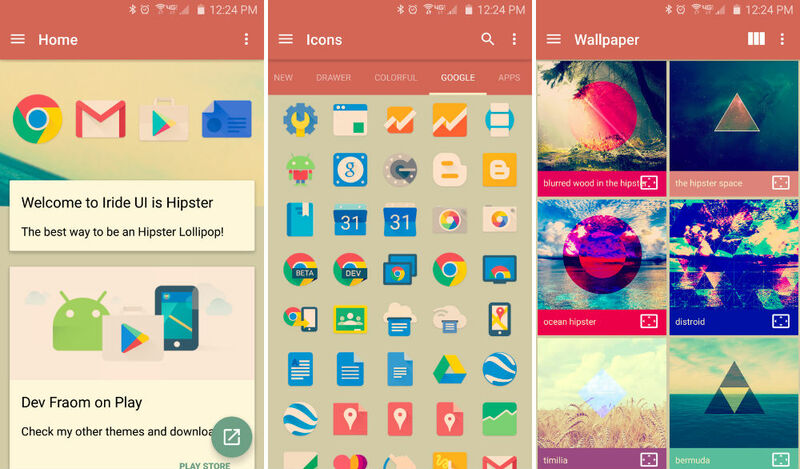 Iride UI Hipster is available on Google Play for a little over $1. For access to all of these icons, plus the big pack of wallpapers to go with the set, you definitely get your money’s worth. This post is part of our This is My Android series. You can view Kellen’s from June right here. 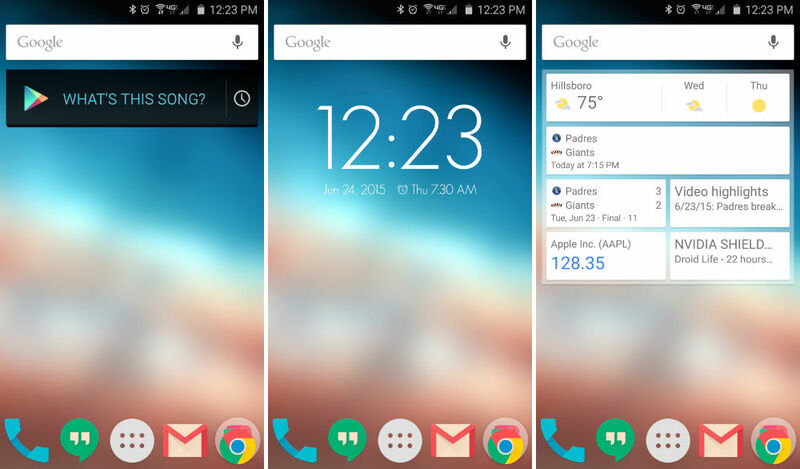 As time goes on, we will switch phones, and tastes in widgets and icon packs will evolve. When that happens, you will see more of these.